Decorating | Oh Look! It's A Blog! The Season’s Story opens tomorrow – July 10th. 8f8 has released the Our Secret Hideout Collection – which comes in gacha form. I am using the Karin Cottage from Trompe Loeil available at the current round of C88. It comes in several colors but I liked the Moss option. In addition, The Liaison Collaborative opened on the 15th and this round is pretty amazing. The theme is Riviera so a lot of the items at The Garden portion of the event were perfect for setting up outside. 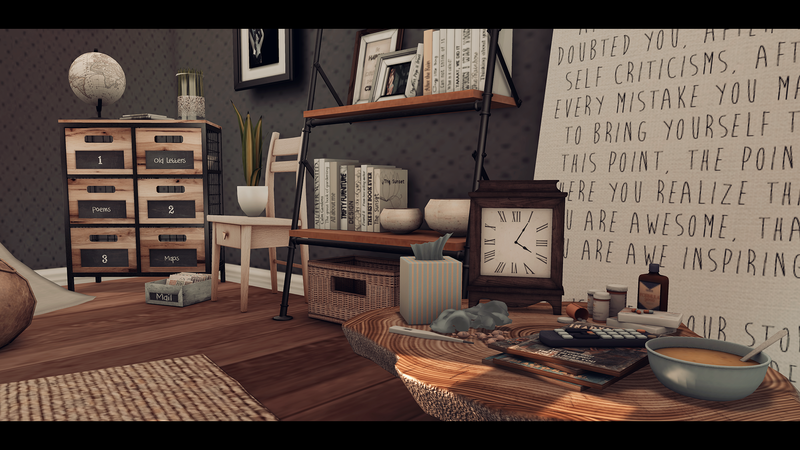 I have a few more decor posts coming as well, trying to get caught up! I tend to favor an older release from Trompe Loeil, the Gramercy Bedroom Suite. It seems no matter how many other beds I buy I flip back to this one eventually. 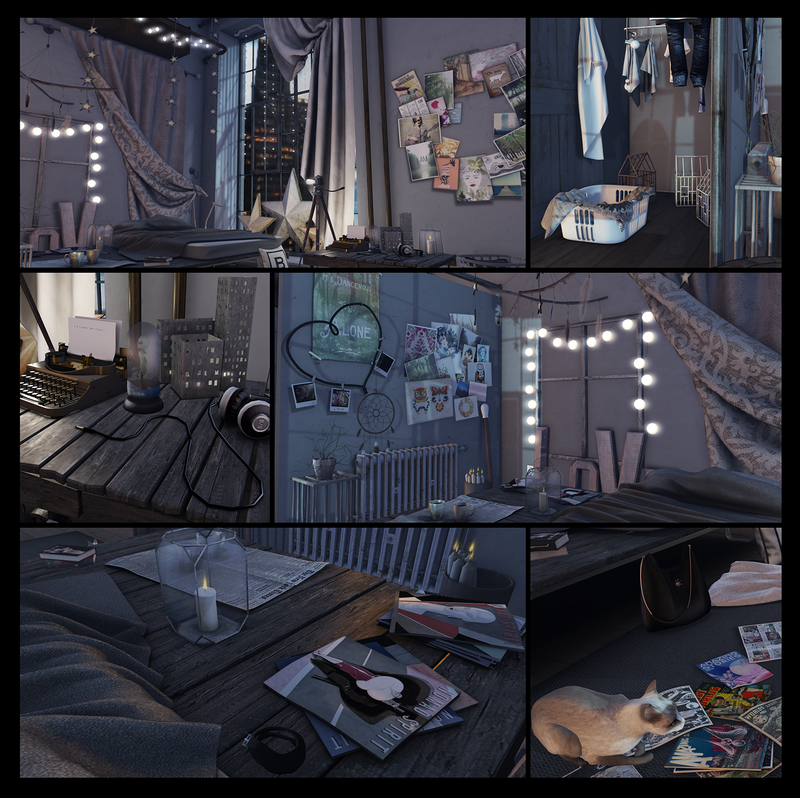 I set up this bedroom using a few items from current events around the grid, including The Home Show and FaMESHed – both which end in just a few days.